March 2018 – Mayfield opens a new office in Cincinnati's west side on Harrison Ave. The office provides additional space for neurosurgeons, physical medicine & rehabilitation specialists, and physical therapists. October 2017 – Mercy Health-Cincinnati announces its acquisition of upgraded Gamma Knife® technology at The Jewish Hospital. The new Gamma Knife ICON™ enables Mayfield's Ronald Warnick, MD, to treat more brain tumor patients than ever before with life-saving radiosurgery. September 2017 – Mayfield's A. Lee Greiner, MD, is recognized by the Cincinnati Academy of Medicine for 50 years of medical practice. August 2017 – Mayfield neurosurgeons at St. Elizabeth Healthcare in Edgewood, Kentucky, become the first in the region to offer minimally invasive lumbar spinal fusion with Mazor X technology. Mazor X integrates planning and guidance to provide predictability and precision during spinal surgery. Mayfield neurosurgeons at Bethesda North Hospital in Cincinnati begin using the Mazor X upgrade shortly thereafter. 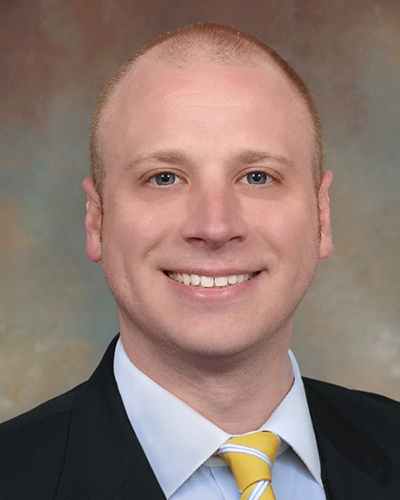 July 2017 – Mayfield hires Zachary Tempel, MD, who establishes his practice in Cincinnati's western neighborhoods. Dr. Tempel sees patients at Mayfield's Western Hills location and operates primarily at Good Samaritan Hospital, Mercy Health – West Hospital, and the Mayfield Spine Surgery Center. April 2017 – Mayfield unveils the Mayfield Surgical Innovation Center, a state-of-the-art training facility for spine and cranial surgery technology and minimally invasive procedures. The center, housed on the second floor of Mayfield's ambulatory Spine Surgery Center in Norwood, attracts neurosurgeons and technology companies from around the United States. Sonia Lipp is hired as Lab Manager. January 2017 – The Mayfield Spine Surgery Center celebrates its 10th anniversary, surpassing a milestone of treating more than 25,000 patients. November 2016 – William Tobler, MD, becomes the first surgeon in the United States to perform a sacroiliac joint (SI) fusion at an outpatient spine surgery center using the RIALTO™ system with O-arm™ and StealthStation™ technology for 3-D navigation. April-July 2016 – Mayfield hires four pain specialists for its expanding Physical Medicine & Rehabilitation service line. They are Donald Carruthers, MD, Matthew Merz, MD, Robert Whitten, Jr., MD, and Steven Wunder, MD. January 2016 – The Mayfield Clinic is awarded membership into the International Gamma Knife Research Foundation, a consortium of academic and clinical centers of excellence that perform brain stereotactic radiosurgery with the Leksell Gamma Knife®. The consortium’s 30 centers are committed to performing clinical research that will establish best practices and lead to improved outcomes for patients. Mayfield neurosurgeons treat patients with Gamma Knife technology at Mercy Health’s Jewish Hospital Gamma Knife Radiosurgery Center. 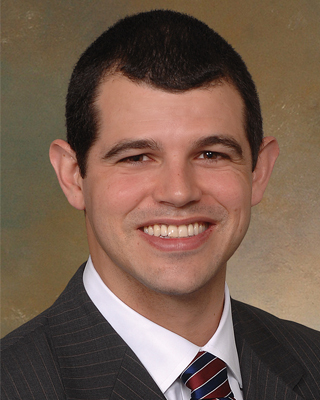 July 2015 – Mayfield hires Vincent DiNapoli, MD, PhD, who establishes his practice in Cincinnati’s northern suburbs. Dr. DiNapoli sees patients at Mayfield’s Rookwood office and operates primarily at The Jewish Hospital – Mercy Health and UC Medical Center. January 2015 – Mayfield announces it will consolidate four clinical and administrative offices into one location: the new Rookwood Exchange complex in Norwood, Ohio. The new space includes 30 clinical examination rooms, primary clinical offices for 15 physicians, and separate space for on-site physical therapy and x-ray. The office moves begin in August 2015 and continue through January 2016. July 2014 – Mayfield hires Michael C. Kachmann, MD, (at left) who establishes his neurosurgical practice in Cincinnati’s northern and eastern suburbs, and Marc Orlando, MD, (at right) a long-standing physiatrist who also serves as Medical Director of Spine Care in the TriHealth Orthopedic and Spine Institute. June 2014 -- John M. Tew, Jr., MD, a leader in his field and community, stops performing surgery at the Mayfield Clinic after more than 45 years of neurosurgical service. Ever eager to embrace new challenges, Dr. Tew is tapped to direct the community outreach and philanthropic efforts of the integrative medicine program at UC Health and the UC College of Medicine. Dr. Tew leaves a Mayfield legacy that is internationally recognized. In addition to his extraordinary work as a subspecialist in cerebrovascular disease, brain tumors, trigeminal neuralgia, and Chiari malformations, Dr. Tew led the development of the University of Cincinnati Department of Neurosurgery and was the first Frank H. Mayfield Chair for Neurological Surgery. He served as Professor and Chairman of the department for 20 years before co-founding and taking the helm of the UC Neuroscience Institute in 1998. April 2013 – Dr. Tann Nichols becomes the first physician in both Ohio and Kentucky to implant a new-generation spinal cord stimulator for the treatment of chronic pain of the trunk or lower limbs, neuropathy, or failed back syndrome following one or more spine surgeries. January 2013 - Dr. Arthur Arand assumes his position as Chairman of the Board and President of the Mayfield Clinic January 1, 2013, for a three-year term. 2012 - Mayfield Clinic & Spine Institute celebrates it's 75th anniversary. From a small office of three distinguished physicians in the early days of neurosurgery, we have matured into a robust and internationally acclaimed practice of 35 physicians and 150 associates. More than 25,000 patientscome through our doors each year, and our influence through teaching and research spans the globe. May-December 2011 - Ground-breaking research led by Jed Hartings, PhD, published in Brain and Lancet Neurology, shows for the first time that electrical disturbances in the brain known as spreading depolarizations (or brain tsunamis) can last far longer than previously realized and contribute to worse outcomes in patients who have suffered neurotrauma. Research funding from the U.S. Department of Defense for this study and others led by Dr. Hartings and Neuro-Intensivist Lori Shutter, MD, is $880,115 in FY 2011. July 2011 - Cerebrovascular experts from 20 nations and 6 continents take important steps toward developing the first optimal clinical management strategy for vasospasm during Vasospasm 2011: The 11th International Conference on Neurovascular Events after Subarachnoid Hemorrhage. The event is sponsored by the Mayfield Education and Research Foundation and hosted by the Mayfield Clinic, UC Department of Neurosurgery, and UC Neuroscience Institute. 2011 - The University of Cincinnati launches a new Brain Tumor Molecular Therapeutics Program, whose researchers will strive to learn why cancer spreads to the brain and how they can stop it. The program, believed to be the first comprehensive brain metastasis-specific translational research effort in the United States, unites researchers in neurosurgery, radiation oncology, and hematology-oncology from the UC Cancer Institute, the UC Neuroscience Institute, and the Mayfield Clinic. 2010 - The graduation of neurosurgical residents Marcella Madera, MD, and Ellen Air, MD, PhD, marks the first all-female class in the history of the Department of Neurosurgery. February 2010 - The landmark CREST study of people at risk of stroke shows that surgery and stenting, two medical procedures designed to prevent future strokes, are safe and effective overall. January 2010 - Mayfield's regional presence expands with the hiring of Brad Curt, MD, fellowship-trained in spine surgery, who establishes his practice in northern Cincinnati and Middletown communities. August 2018 – Mayfield hires Yair M. Gozal, MD, PhD,. Dr. Gozal will see patients at the Mayfield office in Norwood and perform surgery at The Jewish Hospital – Mercy Health, Good Samaritan Hospital, The Christ Hospital, and the Mayfield Spine Surgery Center. November 2017 – Mayfield opens a new office near Union Centre Boulevard in West Chester, Ohio. The office consolidates previous offices in Fairfield and University Pointe and provides additional space for neurosurgeons, physical medicine & rehabilitation specialists, and physical therapists. September 2017 – In research funded by the Mayfield Education & Research Foundation and the United States government, Jed Hartings, PhD, of the University of Cincinnati shows that spreading depolarizations trigger early brain injury after subarachnoid hemorrhage. The findings are published in the journal Brain. August 2017 – Mayfield hires Lincoln M. Jiménez, MD, who establishes his practice in Cincinnati and its northern suburbs Dr. Jiménez will see patients at Good Samaritan Hospital, Bethesda North Hospital, and The Jewish Hospital – Mercy Health. August 2017 – Ronald Warnick, MD, achieves a Mayfield Milestone when he performs his 3,000th stereotactic radiosurgery case. The patient is successfully treated for trigeminal neuralgia at The Jewish Hospital – Mercy Health. May 2017 – TriHealth announces the creation of a comprehensive Neuroscience Institute in partnership with Mayfield Brain & Spine. The TriHealth Neuroscience Institute is to provide state-of-the-art surgical care for the brain, head, neck and spine, as well as advanced stroke care for all patients. The two organizations have been collaborating for nearly 80 years. May 2017 – Mayfield neurosurgeons Steven Bailey, MD, and George Mandybur, MD, are the first in the region to implant the Senza® SCS system, a spinal cord stimulator that provides pain relief without the tingling, burning, or prickling sensations known as paresthesia. February 2017 – Andrew Ringer, MD, becomes the first neurosurgeon in the world to use the Magellan™ Robotic Catheter System for endovascular treatment of neurological disorders. Dr. Ringer uses the Magellan™ at Good Samaritan Hospital for diagnostic angiography and intracranial intervention to break up clots inside the arteries of emergency stroke patients. November 2016 – George Mandybur, MD, becomes the first neurosurgeon in the region to perform minimally invasive laser ablation surgeries for adult patients with epilepsy. Dr. Mandybur uses a laser to heat and destroy targeted areas of brain tissue that are causing seizures. September 2016 – Mayfield Education & Research Foundation hires Deborah Livingston as its new director. Ms. Livingston is charged with overseeing the continued expansion of the Mayfield Foundation's commitment to neuroscience research, injury prevention, neurological health, and the education and training of neurosurgeons. April 2016 – Mayfield Brain & Spine enters into a regional clinical partnership with Mercy Health – Cincinnati, which provides advanced, compassionate healthcare through an extensive network of community facilities. The agreement provides Mercy Health patients with increased access to coordinated, high-quality brain and spine care from the most innovative and technologically advanced surgeons in the region. January 2016 – The Mayfield Education and Research Foundation introduces the Mayfield Surgical Innovation Center, located on the second floor of the Spine Surgery Center. The Surgical Innovation Center provides year-round neurosurgical and spine education and training programs for physicians from around the United States. December 2015 – The Mayfield Clinic becomes one of 30 leading sites across the United States taking part in a national registry for stereotactic radiosurgery treatment of brain tumors. The registry, which continues through 2017, is a project of the American Association of Neurological Surgeons (AANS) and the American Society for Radiation Oncology (ASTRO). February 2015 – Mayfield mourns the passing of Dr. Charles Kuntz, IV, who served the Cincinnati community for 15 years as a Mayfield neurosurgeon and internationally recognized expert in complex spine. Cincinnati Opera establishes The Charlie Kuntz Artist Scholarship Fund, and the Joint div on Disorders of the Spine and Peripheral Nerves of the American Association of Neurological Surgeons / Congress of Neurological Surgeons creates the Charlie Kuntz Scholar Awards. In what was perhaps the highlight of his academic career, Dr. Kuntz led the creation of a new classification system that defined spinal deformity in relation to the healthy, normal curve of the spine. His work was published in the journal Neurosurgery in 2008. November 2014 – Mayfield hires of Dale S. Horne, MD, PhD, FACS, who establishes his neurosurgical practice in the northern and eastern Cincinnati suburbs. June 2014 - TriHealth and the Mayfield Clinic formalize an agreement to provide expanded, comprehensive community-based neurosurgery services to patients at Bethesda North and Good Samaritan Hospitals and to the TriHealth system. March 2014 – Mayfield mourns the passing of Dr. Paul Cohen, a young Mayfield neurosurgeon and assistant professor who died following a tragic skiing accident. Several remembrances insure that his presence remains in the hearts and minds of his Mayfield family. Framed photos of Dr. Cohen grace the offices where he worked. A park bench and three trees, all bearing memorial plaques, beautify a park near the Cohen family’s home. And Mayfield establishes an education fund for the three Cohen children. March 2013 - The University of Cincinnati announces the inauguration of the John M. Tew, Jr., MD, Chair in Neurosurgical Oncology, a $2 million endowment at the UC College of Medicine. Ronald Warnick, MD is the first recipient of the John M. Tew, MD, Chair in Neurosurgical Oncology. January 2013 - Dr. Andrew Ringer leads the Cincinnati portion of a multi-center study that supports the effectiveness of a new flow-diverting device for the treatment of difficult, life-threatening brain aneurysms. The flow-diverter redirects blood flow away from wide-necked or giant aneurysms that cannot be treated in more conventional ways. September 2011 - The Mayfield Clinic & Spine Institute launches the Mayfield Chiari Center, which offers expert diagnosis and treatment of a neurological condition that is often misunderstood and misdiagnosed and that often goes untreated. September 2011 - Ellen Air, MD, PhD, fellowship-trained in functional neurosurgery, and Norberto Andaluz, MD, fellowship-trained in general and cerebrovascular neurosurgery, join the Mayfield Clinic. Dr. Air, becomes the second female neurosurgeon in Mayfield's history, and establishes her distinguished practice at the Medical Arts Building near University Hospital. Dr. Air alsoand begins enhanced collaboration with Cincinnati Children's Hospital Medical Center. Dr. Andaluz assumes a leadership role as Director of Neurotrauma at the UC Neuroscience Institute. June 2011 The Mayfield Clinic co-hosts the Acoustic Neuroma Association's 20th National Symposium, which draws support group leaders to Cincinnati from 26 states. Additional co-hosts are the UC Brain Tumor Center and UC Health. 2010 - The Mayfield Clinic, The Christ Hospital, and United Surgical Partners International (USPI) announce they have entered into a partnership to expand services and capacity at the Mayfield Clinic Spine Surgery Center in Norwood, Ohio. The center becomes known as The Christ Hospital Spine Surgery Center. May 2010 - Mario Zuccarello, MD, a Mayfield Clinic neurosurgeon and internationally recognized cerebrovascular specialist, is named the Frank H. Mayfield Professor & Chairman of the Department of Neurosurgery at the University of Cincinnati College of Medicine. Dr. Zuccarello had served as Interim Chairman since July 2009. January 2010 - Andrew Grande, MD, a fellow in cerebrovascular/endovascular neurosurgery, earns the William P. Van Wagenen Fellowship, arguably the most prestigious in neurosurgery. He is the third neurosurgeon associated with the Mayfield Clinic to win the fellowship in the last 46 years. 2009 - The development of a novel, multi-tasking “lab-on-a-tube” prototype is spearheaded by Mayfield’s Raj Narayan, MD, Jed Hartings, PhD, and Lori Shutter, MD, in collaboration with Chong Ahn, PhD, of UC’s Department of Electrical and Computer Engineering. The smart sensor is capable of continuously monitoring multiple physiological parameters in patients who have suffered brain injury. The seven parameters include intracranial pressure, temperature, brain oxygenation, cerebral blood flow, EEG, cerebral lactate, and glucose. In 2010 the researchers receive a $2.1 million grant over five years from the U.S. Department of Defense to further develop this next generation of brain monitor. 2008 - The Neuroscience Institute at the University of Cincinnati and University Hospital is renamed the UC Neuroscience Institute (UCNI). 2008 - Mayfield's Ronald Warnick, MD, is co-investigator of a study, published in The Journal of Neurosurgery, revealing that combined implantation of radioactive seeds and chemotherapy wafers following the removal of a recurrent glioblastoma multiforme is more effective than treatment with seeds or wafers alone. 2007 - The Ellen and Stewart B. Dunsker, MD, Award for Clinical Research is established within the Department of Neurosurgery at the University of Cincinnati College of Medicine to spur clinical research among neurosurgical residents. 2007 - Under the leadership of William Tobler, MD, Mayfield leads continued development, research and training related to Axial Lumbar Interbody Fusion, a minimally invasive technique in which the lumbar spine (L5-S1) is accessed through a percutaneous opening adjacent to the sacral bone. In 2008 Dr. Tobler performs the region's first minimally invasive lumbar spinal fusion of two vertebral levels using Axial Lumbar Interbody Fusion at the Christ Hospital Spine Institute. 2007 - Mayfield’s George Mandybur, MD, is co-investigator of an animal study of deep brain stimulation’s potential to protect dopamine cells in Parkinson’s disease. 2007 - The Cincinnati Business Courier names Mayfield’s John M. Tew, MD, a lifetime Health Care Hero at its annual Health Care Heroes Awards banquet. 2006 - Mayfield’s Mario Zuccarello, MD, is co-principal investigator of a federally funded study of the dual use of minimally invasive brain surgery and the drug rt-PA as a treatment for large blood clots that result from intracerebral hemorrhage. 2006 - The Accreditation Council for Graduate Medical Education’s Residency Review Committee authorizes the University of Cincinnati Department of Neurosurgery to enroll three residents annually into its seven-year residency training program. Of the nation’s 97 neurosurgical departments, only 11 enroll three or more residents a year. 2005 - Mayfield's William Tobler, MD, becomes the first surgeon in Cincinnati and among the first in the world to perform a novel procedure, known as axial lumbar interbody fusion, to stabilize the lower spine. The procedure, a minimally invasive technique in which the lumbar spine (L5-S1) is accessed through a percutaneous opening adjacent to the sacral bone, is designed to fixate the lower spine in patients who suffer from spinal stenosis, spondylolisthesis, or degenerative disc disease. Under Dr. Tobler's leadership, Mayfield continues to lead research and training related to the procedure, and in 2008 Dr. Tobler will perform the region's first minimally invasive lumbar spinal fusion of two vertebral levels using axial lumbar interbody fusion. 2005 - Mayfield’s Charles Kuntz, IV, MD, is principal investigator in the Cincinnati portion of the first human study of Cethrin®, which has been shown in animals to limit the devastating process of cell death following spinal cord injury. 2004 - Mayfield’s Ronald Warnick, MD, presents a study at the annual meeting of the American Association of Neurological Surgeons demonstrating that a combination of surgery, radioactive seeds, and chemotherapy wafers can extend the survival time of people with recurring glioblastoma multiforme. 2004 - Mayfield’s Ronald Warnick takes part in a federally funded study of hyperbaric oxygen therapy in cancer patients who have suffered brain damage from radiation treatments. 2004 - Mayfield’s Andrew Ringer, MD, and Mario Zuccarello, MD, join a federally funded investigation comparing minimally invasive treatment of narrowed carotid arteries to the standard surgical procedure. 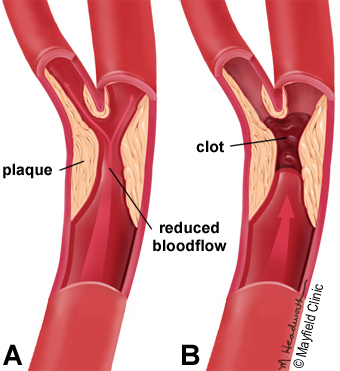 The study is called CREST – the Carotid Revascularization Endarterectomy vs. Stenting Trial. 2003 - Mayfield’s Andrew Ringer, MD, is among a select group of physicians nationwide to begin using the Neuroform Microdelivery Stent in a minimally invasive procedure to treat dangerous wide-necked aneurysms in the brain. 2003 - The National Think First Foundation names Thomas Saul, MD, Neurosurgeon of the Year. 2003 - Mayfield hosts the 94th national meeting of the Society of Neurological Surgeons. 2003 - Mayfield neurosurgeon Ronald Warnick, MD, is elected Secretary-Treasurer of the Section on Tumors of the American Association of Neurological Surgeons and the Congress of Neurological Surgeons. 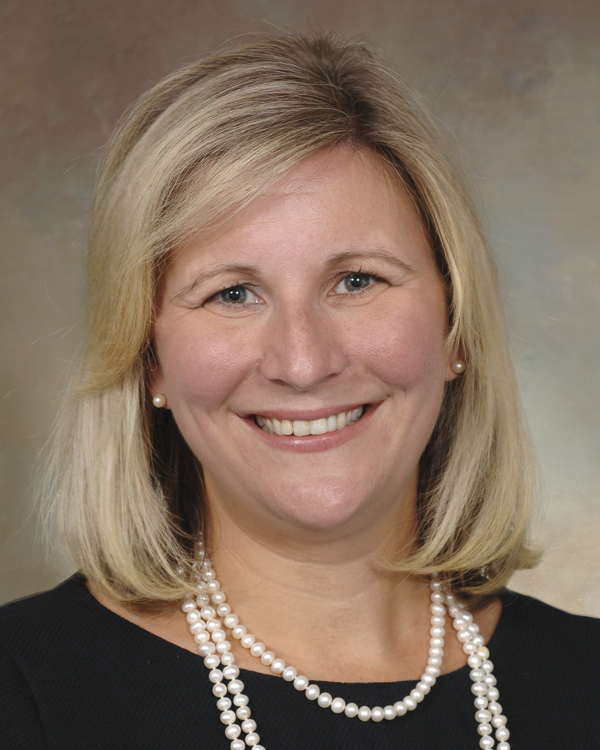 2003 - The Mayfield Clinic recruits Lori Shutter, MD, PT, fellowship-trained in neuro-rehabilitation research, as the Cincinnati area’s first neuro-intensivist. Dr. Shutter will oversee clinical care and research within a growing Neurocritical Care Program at University Hospital, which includes a state-of-the-art Neuroscience Intensive Care Unit for patients the intensive care of patients with life-threatening neurological illnesses. 2003 - Mayfield neurosurgeons begin participation in a clinical trial to assess whether maintaining hypothermia in patients with severe traumatic brain injury will improve their mental and physical outcomes. Mayfield’s Raj K. Narayan, MD, leads the Cincinnati portion of the study. 2002 - The first cerebrovascular surgery fellowship ever accredited by the Society of Neurological Surgeons is established at the University of Cincinnati Department of Neurosurgery. The fellowship is directed by Mario Zuccarello, MD, director of UC’s division of cerebrovascular surgery. 2001 - An expedited treatment process known as Priority Consult, the brainchild of Mayfield President and CEO Michael Gilligan, is developed for patients with spinal conditions. 2001 - With assistance from Mayfield's William Tobler, MD, Ohio Medical Instruments Co., Inc., (now Integra LifeSciences) launches two important technological devices: (1) the Mayfield MobileSCAN CT, a portable device that enhances surgery by producing CT images before, during, or after an operation; and (2) the Mayfield ACCISS Image-Guided System, a global positioning system for the human body that allows neurosurgeons to eradicate or remove brain tumors with utmost accuracy. Although use of the Mayfield ACCISS is later discontinued, it leads to a new system wherein an optical probe attached to a ball-and-socket device is attached to the brain for image-guided biopsies. Medtronic, Inc., eventually licenses this technology and uses it to manufacture a device that is used worldwide for biopsies and functional stereotactic procedures. 2000 - John M. Tew, MD, is named Neurosurgeon of the Year by the Ohio State Neurosurgical Society. 2009 - Mayfield’s John M. Tew, MD, leads successful surgical removal of fist-sized tumor with help of new technology that fuses four different types of images into a 3D map of the patient's brain. Dr. Tew describes the case, performed at University Hospital by an eight-member team, as "the culmination of one of the most important developments in brain tumor surgery in the last 100 years." 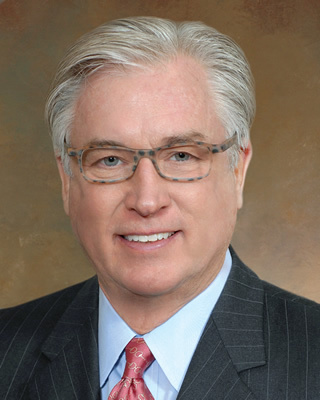 2008 - Mayfield Chairman Ronald Warnick, MD, to direct new Brain Tumor Center at the University of Cincinnati Neuroscience Institute, which is established with a $26 million investment over 10 years. 2008 - Broadening its expertise and service to patients, Mayfield hires Todd Abruzzo, MD, an interventional neuroradiologist who is fellowship-trained in three subspecialties; Krishna Mohan, MD, a neuro-intensivist who joins the expanding Neurocritical Care Program at University Hospital; and Tann Nichols, MD, who establishes his neurosurgical practice in the Northern Kentucky region. 2007 - Mayfield Clinic neurosurgeons are among the first in the United States to use new technology that integrates functional MRI and diffusion tensor imaging data into high-tech surgical navigation systems. 2007 - The Mayfield Clinic Spine Surgery Center opens in Norwood, Ohio. The center is among the first in the region to provide patients with same-day surgical procedures for diseases and disorders of the spine. 2007 - The National Institutes of Health awarded Mayfield researcher Kenneth Strauss, PhD, $1.7 million to study certain molecules (eicosanoids) that could lead to better treatments for brain-injury patients. 2007 - Mayfield’s Ronald Warnick, MD, is co-author of a study, published in Neurosurgical Focus, revealing that the implantation of tiny radioactive seeds following the removal of a single brain metastasis is as effective as the standard treatment of radiating the entire brain following surgery. 2006 - The Acoustic Neuroma Association names Mayfield’s John M. Tew, MD, to a third consecutive five-year term on its national Medical Advisory Board. Dr. Tew continues as co-chairman of the board. 2006 - Precision Radiotherapy introduces Tomotherapy Hi-Art System™, which uses 3D CT image verification to identify the size, shape, and location of a lesion immediately before each treatment. Tomotherapy then delivers a precise high-dose beam of radiation to the lesion while minimizing radiation exposure to healthy tissue or sensitive organs. 2005 - Mayfield’s John M. Tew, MD, receives the Victory Award from former Tour de France cyclist Davis Phinney at the annual Sunflower Revolution fundraiser for Parkinson’s disease research. 2005 - Paul Cohen, MD, and Christopher McPherson, MD, join the Mayfield Clinic. Dr. McPherson, fellowship-trained in neuro-oncologic surgery at the University of Texas M. D. Anderson Cancer Center, will emerge as a leading clinician and researcher in the field of brain tumors. Dr. Cohen, fellowship-trained in spine surgery at Advanced NeuroSpine Specialists in Virginia, establishes his distinguished practice in northern Cincinnati. 2005 - Mayfield’s Ronald Warnick, MD, is elected Chairman of the Section on Tumors of the American Association of Neurological Surgeons/Congress of Neurological Surgeons. 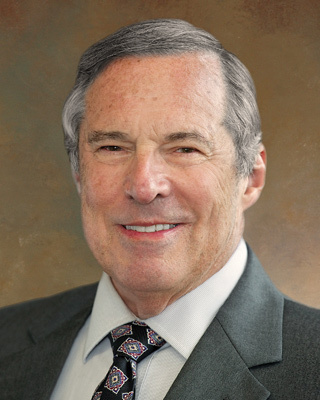 2004 - George Mandybur, MD, joins the Mayfield Clinic and establishes himself as a leading clinician and researcher in the area of functional and stereotactic neurosurgery including deep brain stimulation. 2004 - Mayfield opens a Procedure Suite at the Chapel Hill location in Crestview Hills, Kentucky. Adjacent to the Mayfield Imaging Center, the suite offers patients rapid availability for epidural steroid injections and other neurological treatments and diagnostics. 2004 - Mayfield neurosurgeons are the first in Cincinnati to implant the FlexiCore artificial disc as part of a clinical trial at University Hospital. Charles Kuntz, MD, is principal investigator of the trial. 2003 - Mayfield’s Mario Zuccarello, MD, joins a federally funded investigation of carotid artery bypass surgery as a means of preventing recurrent strokes in patients with complete blockage. The investigation is named the Carotid Occlusion Surgery Study, or COSS. 2003 - Precision Radiotherapy Center opens. Developed by the Mayfield Clinic and University Radiology Associates, Precision Radiotherapy is the region's first center to offer high-precision radiotherapy/ radiosurgery for tumors and other abnormalities both inside and outside the brain. 2003 - In an important expansion, the Mayfield Clinic hires three neurosurgeons, Steven Bailey, MD, Robert Bohinski, MD, PhD, and Philip Theodosopoulos, MD. Dr. Bailey establishes his distinguished practice in Northern Kentucky. Dr. Bohinski, fellowship-trained in spinal and cranial neuro-oncology at the University of Texas M. D. Anderson Cancer Center and in complex spinal deformity surgery at Northwestern University, establishes his distinguished practice at The Christ Hospital. Dr. Theodosopoulos, fellowship-trained in cerebrovascular and skull base surgery at Brigham and Women's Hospital and Harvard University, will become a leading clinician and researcher in skull base surgery. 2003 - Stewart B. Dunsker, MD, is awarded the Harvey Cushing Medal by the American Association of Neurological Surgeons (AANS). The medal is the highest honor bestowed by the AANS. 2003 - The Ohio Medical Instrument Co., Inc., merges with Schaerer Mayfield Schweiz AG. Schaerer Mayfield Holding, AG, headquartered in Nidau, Switzerland, is the majority owner of the new company, called Schaerer Mayfield USA, Inc. The company is known for its neurosurgical and image-guided products. 2002 - Raj K. Narayan, MD, joins the Mayfield Clinic as the second Mayfield Professor and Chairman of the Department of Neurosurgery. He serves as Chairman of the American Brain Injury Consortium and is awarded a grant from the U.S. Department of Defense to study traumatic brain injury and post-traumatic stress disorder. Under his leadership the clinical trials program expands and a neurocritical care program is established at University Hospital. In 2009 he will depart Mayfield to become Chairman of the Department of Neurosurgery at North Shore University Hospital in New York and Long Island Jewish Medical Center. 2001 - Mayfield hosts the national meeting of the Acoustic Neuroma Association in Cincinnati. 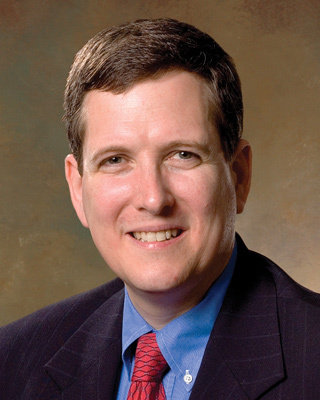 2001 - Andrew Ringer, MD, joins the Mayfield Clinic and establishes an endovascular neurosurgery division. 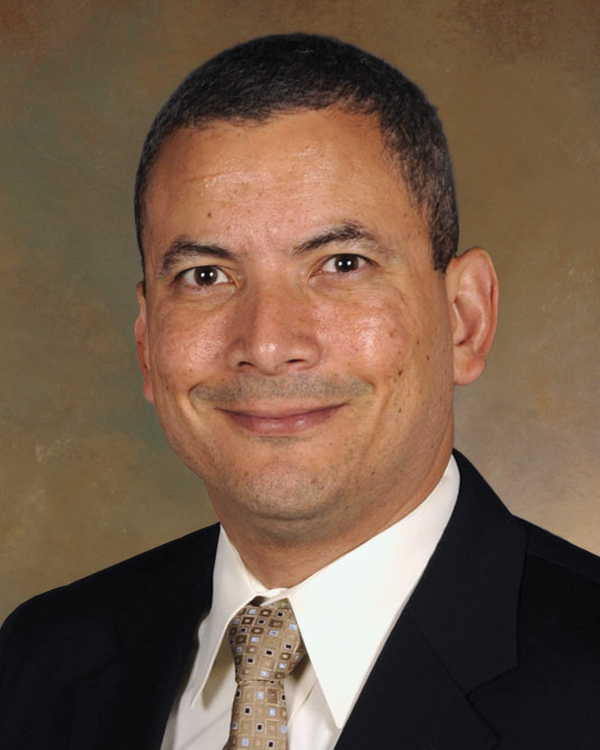 He is the founder of the Endovascular Neurosurgery Research Group (ENRG), a multi-institutional study group dedicated to improving patient outcomes through quality assurance database analysis. Through his efforts, Mayfield participates in numerous national clinical trials including CREST, SAMMPRIS, and Onyx. 2000 - Stewart B. Dunsker, MD, serves as president of the American Association of Neurological Surgeons. In his presidential address, he calls upon all neurosurgeons to take part in healthcare debates, "not in the halls of hospitals, but in the halls of legislative assemblies and in front of conference committees of Congress." 2000 - Charles Kuntz, IV, MD, joins the Mayfield Clinic and begins his distinguished practice while subspecializing in the treatment of complex spine conditions and injuries. 1999 - The Mayfield Imaging Center opens in Crestview Hills, Kentucky. 1999 - The Neuroscience Institute at the University Hospital becomes the first medical institution in the world to provide treatment with the $1.5 million LEXAR radiosurgery system, made by Radionics, Inc., and Siemens Medical Systems, Inc. Mayfield neurosurgeons use LEXAR to target tumors with high-dosage beams of radiation. 1998 - John M. Tew, MD, is named Honored Guest of the meeting of the Congress of Neurological Surgeons. 1997-98 - Ronald Warnick, MD, is the principal investigator in a multicenter trial studying the effectiveness of gene therapy treatment for glioblastoma. 1997 - Mayfield Clinic's first Web site -- www.mayfieldclinic.com -- is launched. The Web site is redesigned in 2004 to include a robust patient education portal, earning it a silver medal in the 2005 Web Health Awards. HONcode-certified since 2008, we offer users access to trustworthy and accurate health information about conditions and treatments of the brain and spine. Supportive of the e-patient revolution, our Web presence expands in 2009 with the launch of Mayfield's Facebook, Twitter and YouTube pages. Nearly 4.5 million unique visitors accessed mayfieldclinic.com in 2017, generating more than 6.4 million page views. 1996 - The Mayfield Neurological Institute is renamed the Mayfield Clinic. The Mayfield Spine Institute, an interdisciplinary center of spine experts, is formed. 1995 - Bradbury Skidmore, MD, joins the Mayfield Neurological Institute and establishes his distinguished practice in the Northern Kentucky community. 1993 - Mario Zuccarello, MD, joins the Mayfield Neurological Institute. Dr. Zuccarello’s interests are in cerebrovascular surgery, particularly intracerebral hemorrhage, vasospasm, carotid stenosis, and moyamoya disease. He will become a leading researcher and participate in pivotal clinical trials, including COSS, MISTIE, and CREST. 1992 - The Steamboat Springs Neurosurgical Symposium is established in Colorado, later moving to Snowmass. Today, the annual Winter Clinics for Cranial and Spinal Surgery brings together the nation's most prominent neurosurgeons and orthopaedic surgeons for a week of cutting-edge educational programming. Sponsored by the Mayfield Clinic, Cleveland Clinic, Mayo Clinic, and the AANS, the program draws more than 100 attendees and 30 exhibitors from around the world. 1992 - Bradley Mullen, MD, Robert Albright, MD, and Ronald Warnick, MD, join the Mayfield Neurological Institute. Dr. Warnick will emerge as a leader within Mayfield and on the national stage in the field of brain tumor research. 1999 - Mayfield hosts the Midwest regional meeting of the National Brain Tumor Foundation in Cincinnati. 1999 - Mayfield Clinic neurosurgeons collaborate with other physicians and administrators at the University Hospital to introduce the Hitachi AIRIS II intraoperative MRI, the first of its kind in North America. The technology allows surgeons to perform an MRI scan during surgery and to determine, while the patient is still under anesthesia, whether a tumor has been completely removed. 1998 - The Mayfield Clinic and eight other University of Cincinnati academic departments collaborate to form The Neuroscience Institute, a center of excellence based at University Hospital and supported by the Health Alliance. The Institute is devoted to treating and understanding tumors of the brain, head, neck, and spine; brain trauma; stroke; and multiple sclerosis, Parkinson’s disease, and Alzheimer’s disease. In 2008 The Neuroscience Institute is renamed the UC Neuroscience Institute (UCNI). 1996 - The Mayfield Clinic hosts, the first national meeting of the Trigeminal Neuralgia Association. 1996-98 - Thomas Saul, MD, serves as chairman of the board of the National Think First Foundation. 1995 - Working with Radionics, Inc., Ronald Warnick, MD, and John M. Tew, MD., assist with the development of the Operating Arm System, a pioneering product that made computer-assisted surgery possible, and the Optical Tracking System, a comprehensive image-guided surgery system. 1994 - The Atlas of Operative Microneurosurgery, Volume 1: Aneurysms and AVMs is published. The second volume on Brain Tumors is published in 2001. It is co-authored by John M. Tew, MD, Harry van Loveren, MD, and Jeffrey Keller, PhD, and illustrated by David Rini, Tonya Hines, Tony Baker, and Martha Headworth. 1993 - Stewart B. Dunsker, MD, is elected to the American Board of Neurological Surgery, a post he holds until 1999. He serves as the board’s first treasurer from 1995 to 1998 and as vice-chair from 1998 to 1999. 1992 - The Ohio State Neurosurgical Society names Stewart B. Dunsker, MD, Neurosurgeon of the Year. 1991 - Mayfield neurosurgeons Ronald Warnick and John Tew along with University of Cincinnati researchers Peter Stambrook, Linda Parysek, Anil Menon, and Robert Brackenbury receive a three-year feasibility grant from the National Institutes of Health to establish a brain tumor research center. Only eight other centers are chosen. 1990 - The Mayfield Neurosciences Foundation is established. Serving as trustees are John M. Tew, MD, Stewart B. Dunsker, MD, and Michael Gilligan, Mayfield’s President and CEO. 1989 - The Frank H. Mayfield Society is formed as an alumni organization for graduates and fellows of the Mayfield-UC neurosurgery training program. The Society meets each year for graduation ceremonies and the Mayfield Neuroscience Symposium. The scientific program includes an invited Alumnus Lecturer and Mayfield Lecturer. 1987 - Keith Crutcher, PhD, who received his postdoctoral training at Duke University, joins the Department of Neurosurgery. He will serve as the department's Director of Research for 18 years, making his mark with dozens of publications, two patents, and significant NIH grants in the areas of Alzheimer's disease and neuronal plasticity. In the mid-1990s his laboratory will discover that the protein Apolipoprotein E (apoE) causes nerve cell death under certain conditions. In 2001 the Alzheimer's Research Forum will honor him with the Innovation Award. In 2009 he will depart to assume the position of Scientific Review Officer in the Division of Neuroscience, Development and Aging at the National Institutes of Health. 1987 - Hwa-shain Yeh, MD, begins collaborating with Michael Privitera, MD, a neurologist, and creates the Cincinnati area’s first comprehensive epilepsy center, located at the University Hospital. 1986 - Kerry Crone, MD, joins the Mayfield Neurological Institute and practices primarily at Children's Hospital Medical Center. Dr. Crone becomes a world-renowned pediatric neurosurgeon while specializing in endoscopic surgery. In 1998 he departs Mayfield to assume full-time employment at Children’s. He remains on the faculty of the UC Department of Neurosurgery and plays an integral role in the training of residents and fellows. 1985 - Harry R. van Loveren, MD, joins the Mayfield Neurological Institute and begins his distinguished practice at Good Samaritan Hospital. Dr. van Loveren's interest in complex aneurysms and tumors leads him to build an internationally renowned skull base surgery program. He is one of the founding members of the North American Skull Base Surgery Society. In 2004 he departs Mayfield and becomes Chairman of Neurosurgery at the University of South Florida. 1983 - Hwa-shain Yeh, MD, joins the Mayfield Neurological Institute. 1983 - John M. Tew, MD, serves as president of the Congress of Neurological Surgeons. 1982 - The Budde Halo, envisioned by Richard Budde, MD, is developed. The halo is a circular device that enables surgeons to rest their hands comfortably while self-retaining retractors gently hold brain tissue apart from the operating site. 1981-82 - Stewart B. Dunsker, MD, is the second Cincinnatian to serve as president of the Ohio State Medical Association. He also serves as president of the Society of University Neurosurgeons (1981) and the Ohio State Neurosurgical Society (1983-1984). 1989 - The Mayfield Neurosciences Foundation is established to provide ongoing support for neuroscience research, professional and public education, and patient services. As part of its educational mission, the Neurosciences Foundation sponsors continuing medical education courses and symposia for practicing neurosurgeons and other professionals, such as Primary Care Symposiums, Four-State Neuroscience Conferences, Endovascular 101, Winter Clinics, and various patient support association meetings. 1987 - Stewart B. Dunsker, MD, serves as chair of the American Association of Neurological Surgeons/Congress of Neurological Surgeons Section on Spine and Peripheral Nerves (1987-1989). He is elected in 1993 to the American Board of Neurological Surgery, a post he holds until 1999. He serves as the board’s first treasurer from 1995 to 1998 and as vice-chair from 1998 to 1999. 1986 - William Tobler, MD, joins the Mayfield Neurological Institute and begins his distinguished practice at The Christ Hospital. Dr. Tobler's interests are in stereotactic cranial surgery and complex spine. He will become a leader in minimally invasive spine surgery and instrumentation. 1984 - John M. Tew, MD, becomes the first surgeon in the United States to receive FDA approval to use the YAG (yttrium-aluminum-garnet) laser to vaporize previously inoperable brain tumors. Dr. Tew and Raymond Sawaya, MD, are co-authors of the book Laser Applications in Neurosurgery, published in 1987. 1983 - The Congress of Neurological Surgeons establishes the Mayfield Award, to be presented annually to a resident for a paper on spine research. 1982 -Raymond Sawaya, MD joins the Mayfield Neurological Institute. Dr. Sawaya’s interests are in brain tumors and stereotactic surgery. He will publish the textbook Fibrinolysis and the Central Nervous System in 1990. That same year he departs for the University of Texas M.D. Anderson Cancer Center, where he will eventually become Chairman of Neurosurgery. 1982 - When Robert McLaurin, MD, vacates his position as Chairman of the Division of Neurosurgery at the University of Cincinnati College of Medicine, John M. Tew, MD, seeks to reunite the Mayfield residency program and the UC residency program into one broad-based training center. In 1984 the Division of Neurosurgery becomes a separate department at the UC College of Medicine. The UC-Mayfield Neurosurgical Residency Program operated until 2017, in cooperation with UC Medical Center, Cincinnati Children’s Hospital Medical Center, The Christ Hospital, Good Samaritan Hospital, and the Cincinnati VA Medical Center. 1982 - John M. Tew, MD, becomes the first Mayfield Professor and Chair of Neurosurgery at the University of Cincinnati. 1981 - Thomas Saul, MD, joins the Mayfield Neurological Institute. He primarily practices at Good Samaritan Hospital, where he specializes in neurotrauma and spine surgery. He will later move his practice to the TriHealth Pavilion in Blue Ash and practice primarily at Bethesda North Hospital and Jewish Hospital. 1979 - Stewart B. Dunsker, MD, is a founding member of the AANS/CNS Section on Spine and Peripheral Nerves. At the time, orthopedic surgeons dominate the subspecialty of spine surgery while outnumbering neurosurgeons eight to one. The Spine Section fosters education and research of complex spine surgery as an important area of neurosurgical training. Dr. Dunsker serves the Spine Section as Chairman (1987-1989), Chairman-Elect (1985-1987), and Secretary (1980-1984). In 1979 he also earns the Distinguished Service Award from the American Medical Association. 1979 - Frank H. Mayfield, MD, earns the Distinguished Service Award from the American Medical Association for building bonds among all physicians and for placing special emphasis on the importance of patient care. 1977 - Frank H. Mayfield, MD, receives the first Harvey Cushing Medal at the annual meeting of the American Association of Neurological Surgeons because of his contributions to the organization. 1976 - John M. Tew, MD, and Thoralf Sundt, MD, become founding members of the American Association of Neurological Surgeons/Congress of Neurological Surgeons Section on Cerebrovascular Surgery. 1974 - The MAYFIELD three-pin skull clamp is designed to rigidly affix a patient's head to the operating table during craniotomy drilling and delicate surgery. The Mayfield Headrest and Skull Clamp System are the most common and widely used neurosurgical instruments today. They are manufactured and sold by Integra LifeSciences. 1973 - Thomas Berger, MD, joins the Mayfield Neurological Institute. Trained in pediatric neurosurgery by Robert McLaurin, MD, Dr. Berger will eventually become Director of Neurosurgery at the Children's Hospital Medical Center from 1985 to 1999. 1973 - Richard Budde, MD, succeeds Frank H. Mayfield, MD, as president of the Mayfield Neurological Institute, serving from 1973 to 1989. He will serve as Chairman of the Board from 1989 to 1991. Dr. Budde's leadership is pivotal in the Ohio Medical Instrument Co., of which he is President and Chairman of the Board from 1978 to 2003. 1970 - Stewart B. Dunsker, MD joins the practice of Mayfield, Lotspeich, Hunter and Budde. 1979 - John M. Tew, MD, serves as president of the Ohio State Neurosurgical Society. 1979 - Robert Tureen, MD, and Molly Nemann, EdD, join the Mayfield Neurological Institute and establish the Division of Neuropsychology to provide counseling and cognitive rehabilitation of patients before and after surgery or traumatic injury. Psychotherapy and general psychological counseling are also provided. The division prospers for 28 years until Dr. Tureen’s retirement in 2007. 1977 - The Mayfield Education and Research Fund, later known as the Mayfield Foundation, is established for the purpose of fostering excellence in the residency training program. The first trustees are Mayfield neurosurgeons: Richard Budde, MD, and Edgar Lotspeich, MD; Bert McBride, MD, a former Mayfield neurosurgeon; Eugene Ruehlmann, a former mayor of Cincinnati; and James Ryan, an attorney at Taft, Stettinius and Hollister. Funding comes from a portion of profits from the Ohio Medical Instrument Company and from donations from residents, former residents and private citizens. 1976 - A. Lee Greiner, MD, joins the Mayfield Neurological Institute and practices primarily at The Christ Hospital. 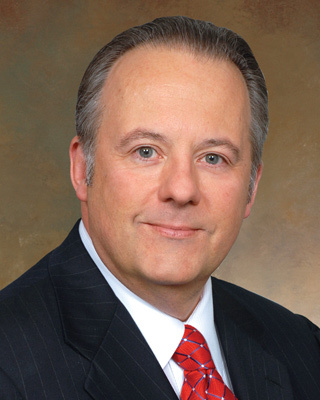 He will serve as Chairman of the Mayfield Board of Directors from 1991 to 2004. 1975 - Jeffrey T. Keller, PhD, a neuroanatomist and researcher, joins the Mayfield Neurological Institute. Working at the Christ Hospital Medical Research Institute, Dr. Keller investigates the trigeminal nerve, innervation of the dura, and the anatomy of the carotid artery and cavernous sinus. Photo: World-renowned anatomist Oscar V. Batson (left) and Jeffrey T. Keller. 1974 - John M. Tew, MD, and Eric Cosman develop the TEW curved electrode for percutaneous radiofrequency (RF) treatment of trigeminal neuralgia. The electrode is passed through the cheek and then through the foramen ovale in the skull to reach the trigeminal nerve root. Once positioned, an electrical current heats the area of the nerve, causing pain. The lesion stops the pain. 1971 - Stewart B. Dunsker, MD, and John M. Tew, MD, conduct Cincinnati's first symposium on microsurgery. Surgeons from around the world attend to learn how to use the operating microscope, microsurgical instruments, and the surgical laser. 1969 - Frank H. Mayfield, MD, launches an independent neurosurgical resident training program at Good Samaritan Hospital and The Christ Hospital. Between 1969 and 1982 Cincinnati has two neurosurgical training programs: one at UC / Children's Hospital under Dr. Robert McLaurin's leadership and the other at Good Samaritan and Christ under Dr. Frank Mayfield's leadership. 1968 - The increased manufacture of neurosurgical instruments leads to creation of the Kees Surgical Specialty, later known as the Ohio Medical Instrument Company. The company, initially owned by George Kees, Frank H. Mayfield, MD, Edgar Lotspeich, MD, Curwood Hunter, MD, and Richard Budde, MD, leads to the creation of many instruments now considered standard in neurosurgery. Today, the MAYFIELD and BUDDE instruments are manufactured and sold by Integra LifeSciences Corporation. 1965 - In the national arena of organized medicine, the neurosurgical profession does not possess a unified voice. As president of the Harvey Cushing Society, Frank H. Mayfield, MD, addresses this issue. During his Presidential Address on May 12, 1965, he proclaims that henceforth the Harvey Cushing Society will be the official voice of neurosurgery in the United States. He goes on to suggest that a secondary name be added: the American Association of Neurological Surgeons (AANS). The speech, which becomes known as the "Mayfield Proclamation," transforms the Cushing Society into the AANS. 1960's - Frank H. Mayfield, MD, assumes numerous leadership positions in neurosurgery. He serves as president of the Ohio State Neurosurgical Society (1962-1964), president of the American Association of Neurological Surgeons (1964-1965) and president of the Society of Neurological Surgeons (1967-1968). As chairman of the American Board of Neurological Surgery (1962-1964), he spearheads the study of an in-service multiple-choice examination designed to reveal shortcomings in training programs or candidates. During the 1960s Dr. Mayfield and his colleagues develop a plan for changing the Harvey Cushing Society’s name to the American Association of Neurological Surgeons and craft an agreement that establishes the AANS as the spokes-organization for neurological surgeons. 1967 - Frank H. Mayfield, MD, and George Kees develop the MAYFIELD Horseshoe and General Purpose Headrests, based on Dr. Mayfield's observations from a dental chair. The padded headrests are designed to cradle and stabilize the head off the end of the operating table and allow the surgeon better access during surgery. 1962-64 - As chairman of the American Board of Neurological Surgery, Frank H. Mayfield, MD, spearheads the study of an in-service, multiple-choice examination designed to reveal shortcomings in training programs or candidates. 1961-70 - In the 1960's Ohio law allows limited partnerships but not professional corporations. Taxation and malpractice insurance lead the group to challenge the IRS and file for incorporation. With the help of the law firm Taft, Stettinius and Hollister, articles of incorporation are filed. In 1970, after a decade of effort, Mayfield, Lotspeich, Hunter and Budde, Ltd. become the first physician group in Ohio to incorporate. The company name becomes Drs. Mayfield, Lotspeich, Hunter and Budde, Inc.
1961 - Richard Budde, MD, joins the partnership of Mayfield, Lotspeich and Hunter, Ltd. His managerial talents, common sense, and business acumen quickly impress the three. Dr. Budde is gradually enlisted to oversee the practice's business affairs. 1955 - Bert McBride, MD, joins the partnership of Mayfield, Lotspeich, and Hunter. Dr. McBride is instrumental in resident education. He will depart the group in 1961 to establish his own private practice. In 1990 he will become the first recipient of the Evans Award. 1952 - Frank H. Mayfield, MD, a pioneer in the treatment of dangerous brain aneurysms, enlists George Kees, a medical illustrator, to create the Mayfield clip and clip applier, which Dr. Mayfield uses to shut off the blood supply to brain aneurysms. Workers manufacture the first clips in the carriage house behind the Oak Street mansion. 1953 - Frank H. Mayfield, MD, and his colleagues move their clinical offices to a grand Victorian mansion at 506 Oak Street. The mansion, built in 1904-1906, features a tower, a gabled dormer, a carriage house, extensive wood paneling, and a parlor distinguished by the city’s most extraordinary hand-painted ceiling in a residential home. 1959 - Frank H. Mayfield, MD, as chair of the American College of Surgeons’ trauma subcommittee, collaborates with Fletcher Platt of the Ford Motor Co. in the development of seatbelts for automobiles. 1953 - Robert McLaurin, MD, establishes a division of pediatric neurosurgery at the Children's Hospital Medical Center. He assumes leadership of the UC Neurosurgery Residency Training program in 1954 when Joseph Evans, MD, departs for the University of Chicago. 1951 - Frank H. Mayfield, MD, as president of the Cincinnati Academy of Medicine, and William Nieman, president of the Cincinnati Bar Association, develop a Joint Conference to promote ethics and professionalism in the relationship between doctors and lawyers. The conference becomes a model that is adopted nationwide. Dr. Mayfield also helps broker a Joint Inter-Professional Code between the American Bar Association and the American Medical Association. 1951 - Mayor Cash asks Frank H. Mayfield, MD, to join the UC Board of Directors with one charge – to make the community hospitals surrounding the University of Cincinnati College of Medicine and Cincinnati General Hospital a part of the University Center. Dr. Mayfield's three-decade crusade to defuse the town versus gown conflicts between the University and its private hospital competitors culminates in a Master Plan that he presents in 1967 to Walter Langsam, President of the University. At the time, UC is not ready for such a plan. Not until 1982 did changes in leadership allow elements of Dr. Mayfield's Master Plan to come to fruition. 1948 - Frank H. Mayfield, MD, and Joseph Evans, MD, create a joint neurosurgical residency training program to enable residents to rotate and benefit from the strengths of both the University (Cincinnati General Hospital) under Dr. Evans's leadership and the community hospitals (Good Samaritan and Christ) under Dr. Mayfield's leadership. 1942-1945 -Frank H. Mayfield, MD, and his partner, Thomas Weaver, MD, are called to serve in the war at Percy Jones General Hospital in Michigan. Dr. Mayfield serves as Chief of Neurosurgery under General Norman Kirk and directs the training of young surgeons in treating neurologic injuries. More than 25,000 cases of major nerve injuries are treated during this time. Dr. Mayfield writes numerous papers and a book about the treatment of causalgia (intense pain resulting from wounds to peripheral nerves) with surgical sympathectomy. 1938 - Frank H. Mayfield, MD, and Joseph Evans, MD, are among a group of seven young neurosurgeons who found the American Academy of Neurological Surgeons in 1938. In 1940 Dr. Mayfield is among the first group to be certified by the American Board of Neurological Surgery, and in 1942 he becomes president of the American Academy of Neurological Surgeons. 1947 - After World War II, Frank H. Mayfield, MD, and two former students, Edgar Lotspeich, MD, and Curwood Hunter, MD, form a neurosurgical practice -- the first group practice in Cincinnati and one of the first in the United States. Drs. Mayfield and Lotspeich also provide neurosurgical care across the Ohio River in Northern Kentucky. 1940 - Thomas Weaver, MD, having recently completed residency training under Paul Bucy, MD, of Chicago, joins Dr. Mayfield in Cincinnati. Their clinical office is in the Carew Tower downtown. Dr. Weaver will depart Cincinnati in 1947 to open a practice at Miami Valley Hospital in Dayton, Ohio. 1937 - Frank H. Mayfield, MD, and Joseph Evans, MD, are final candidates for a new position to head the neurosurgery division within the University of Cincinnati Department of Surgery. Dr. Evans is selected for the academic post. Dr. Mayfield is about to return home when Sister Theodora offers him the opportunity to create a neurosurgery service at Good Samaritan Hospital. Dr. Mayfield accepts and begins his community-based practice. Drs. Evans and Mayfield become close personal friends and colleagues.